In a major victory for insurance companies, the Texas Supreme Court said Friday that injured workers can't sue for damages in workers' compensation claims even when the insurer intentionally misrepresents their policies, or uses the criminal justice system to punish them. The Texas Supreme Court has dramatically expanded the rights of insurance companies to duck lawsuits from injured workers, even when they are accused of intentionally misrepresenting policies or using the criminal justice system to maliciously punish the worker. In a unanimous, unsigned decision handed down Friday, the high court ruled that the Texas Department of Insurance has exclusive jurisdiction over such complaints within the workers' compensation system. Translation: State regulators can use their administrative powers to sanction insurers who inflict such harm, but the workers can't sue for damages. The decision arose from a lawsuit filed by Glenn Johnson and his wife, Natalie. Both were arrested and accused of committing insurance fraud based on a complaint by the insurance company, according to court records. The charges were later dropped after the evidence fell apart. 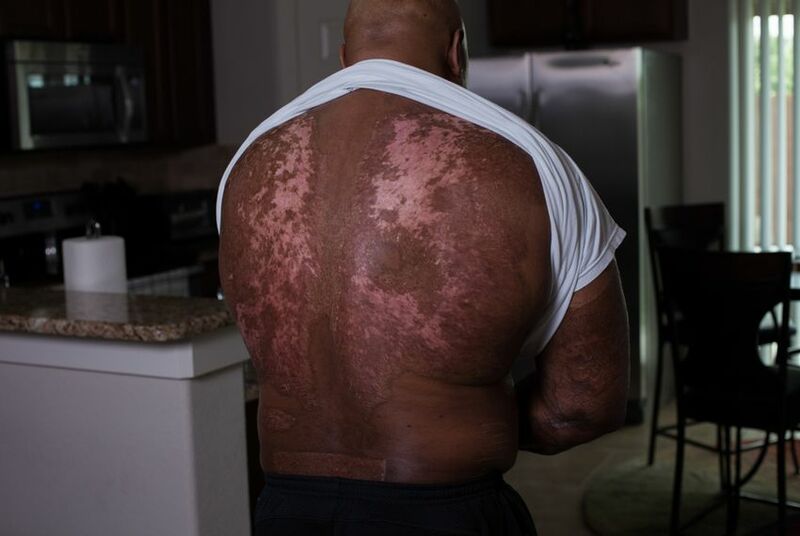 Johnson, horribly burned in a smelter explosion in Amarillo in 1998, said in a statement to The Texas Tribune that he was appalled by the Supreme Court’s ruling, which overturned lower court rulings. A call placed to the lawyer for the insurer named in the lawsuit, Old Republic Insurance Company, was not immediately returned. Johnson sustained second- and third-degree burns on his face, neck, upper body, legs and arms. One of his arms had to be amputated. The other was badly mangled. As part of his rehabilitation, Johnson, who lived in a small town, worked out at a gym a couple hours from his home. Insurance adjusters suspected he was not using the gym and filed a criminal complaint against him, records show. Soon thereafter, a grand jury indicted Johnson for insurance fraud, saying the evidence showed he had falsified travel reports. The complaint relied on electronic records indicating Johnson had not used a swipe card to enter the gym. After he and his wife were arrested, Johnson explained that the injuries to his remaining hand prevented him from removing the swipe card from his wallet, and that gym employees had opened the door for him. The charges were dropped after gym employees signed affidavits attesting to his attendance. But in a multimillion-dollar lawsuit filed against Old Republic and its claims handlers for bad faith, malicious prosecution and other alleged misdeeds, Johnson’s lawyers argued the insurer continued to deny him the benefits and medical treatments he was due under state law. The justices unanimously threw out his lawsuit Friday. By doing so, they expanded the protection for insurance companies established in a previous landmark ruling, Texas Mutual Insurance Co. v. Ruttiger. That decision held that legislative reforms initiated in 1989 give the Division of Workers’ Compensation, part of the insurance department, exclusive power to police insurers for so-called "bad faith" actions in the claims handling process. The new ruling has the effect of expanding that jurisdiction beyond mere “bad faith” actions and applies it to acts of misrepresentation and even malicious prosecution. The Johnsons had argued that the pattern of deception and use of the criminal justice system against them went beyond the confines of claims handling as described in the Ruttiger decision and represented intentionally harmful acts. The Supreme Court disagreed, ruling that the Texas Workers’ Compensation Act requires that even these alleged abuses be dealt with inside the administrative process at the Division of Workers' Compensation. “We conclude that the Division of Workers’ Compensation has exclusive jurisdiction over the Johnsons’ claims and the Workers’ Compensation Act provides their exclusive remedies,” the court said. It pointed out that the division has broad powers to issue cease and desist orders and levy fines of up to $25,000 per day per occurrence for violations by insurers, and that was sufficient remedy for complaints from workers such as Johnson. Terry Frakes, senior vice president for Texas Mutual Insurance, which covers about 39 percent of the state's workers' compensation market, said the decision adhered to the wishes of the Texas Legislature. "The Supreme Court reaffirmed its decision in Ruttiger that the Division of Workers' Compensation has exclusive jurisdiction over claim disputes and the Workers' Compensation Act provides exclusive remedies for those disputes," he said. "The Court reiterated its deference to the Division of Workers' Compensation in enforcing the statutory rights, remedies and duties within the workers' compensation system, as specified by the Legislature." The Johnsons’ lawyer, Brad McClellan, was asked if the Division of Workers’ Compensation had ever used its authority to punish his clients’ insurer for malicious prosecution or misrepresentation of its policies. “None that we know about,” he said. Division spokesman John Greeley did not say whether any actions had been initiated against Old Republic, but released a statement about the state's use of its powers to sanction insurers who harm claimants. "The Texas Department of Insurance, Division of Workers’ Compensation, monitors compliance within the workers’ compensation system and sanctions system participants who violate the Workers’ Compensation Act and Rules," Greeley said. "In 2014, the Division ordered administrative penalties totaling more than $2.2 million, $2 million of which were against insurance carriers for claims handling violations." Even if the division does sanction Johnson's insurance company or agents, McClellan noted that administrative fines against insurers don’t provide any direct benefit to the worker or family members, or give them any meaningful role in the process. By removing another avenue for court redress, Friday's decision also takes away another incentive for insurers to deal in good faith with injured workers, McClellan said. Disclosure: Texas Mutual Insurance is a corporate sponsor of The Texas Tribune. A complete list of Tribune donors and sponsors can be viewed here.